For simple and convenient dinners, choose Boston Market Delivery! I am all about convenience these days. And short cuts. Listen, they don’t call me the Juggling Act Mama for nothing! What I don’t love is ordering dinner from drive through windows, which is why I’m excited about online ordering and Boston Market Delivery! 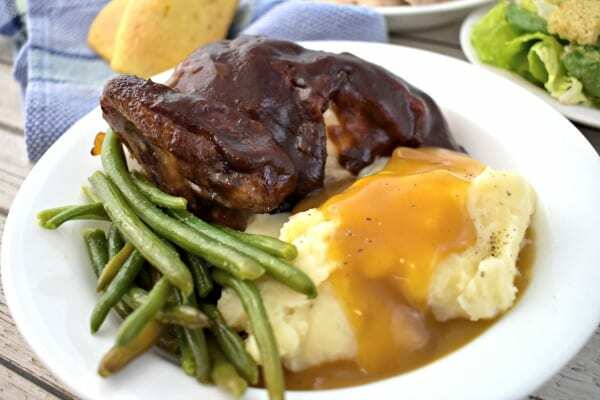 Boston Market, the rotisserie experts, now offer online ordering for all their signature home style rotisserie meals and you can have it delivered right to your front door. This is such a great way to get a quality meal on the table quickly for those busy nights when you just don’t have the time (or energy!) to cook. It’s a convenience that makes me feel good about what I’m serving my family – no fast food drive through windows for me! The food is super tasty, of course, just like you would get in the restaurant. If you love Boston Market, too, you can go online or download the Boston Market app and place your order for delivery. Order Boston Market online, and you can get your meal delivered! Boston Market has partnered with GrubHub, DoorDash and UberEats, which are three of the leading online delivery services. The website will automatically match you to the service available in your area. 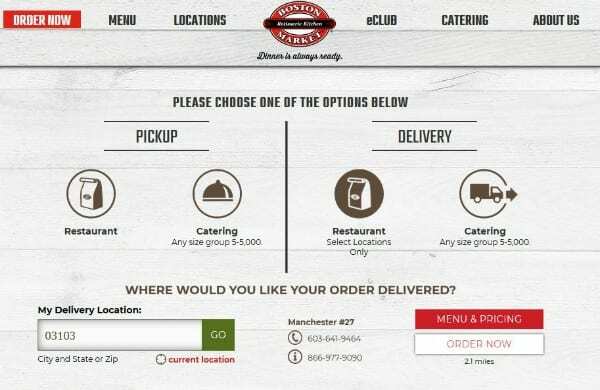 Just select ORDER NOW from the menu and put in your zip code to see if delivery is available where you live. It’s so simple to use and I love that it shows photos of the food as well as great descriptions, so you know exactly what you’re ordering. Family meals like Rotisserie Chicken or Turkey will feed 3-6 people, and you can customize your order, which I love. Of course, one of the benefits of ordering out is that everyone can choose something different. Individual meals and Market Bowls are delicious, too. 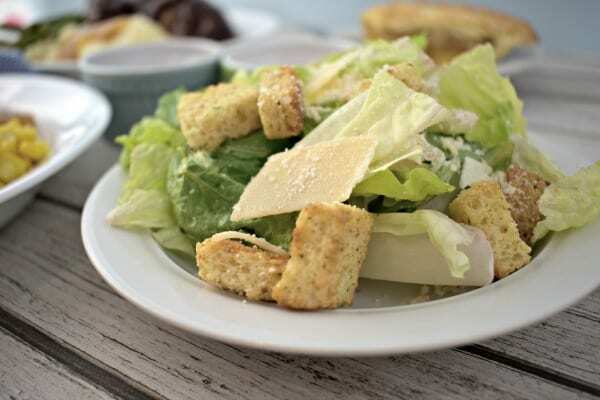 Plus, you will see limited time offers at participating locations as well, like Parmesan Rotisserie Chicken, which comes with a creamy Parmesan sauce and crunchy herb topping, or seasonal sides like Bacon Brussels Sprouts or Loaded Roasted Potatoes. And, if you have picky little eaters, Boston Market kids meals offer even more variety. 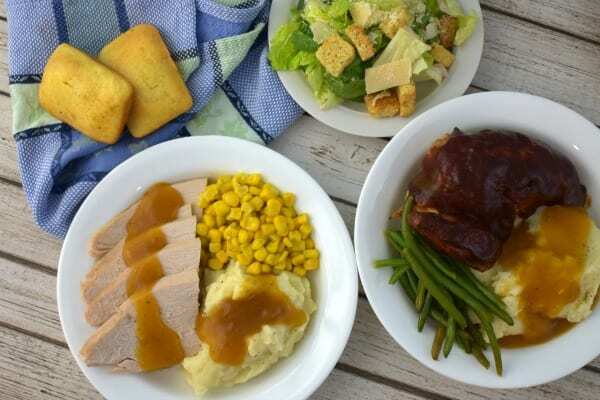 Choose from Mac & Cheese, home style Meatloaf, Rotisserie Chicken or Rotisserie Turkey entrées, plus one small side, cornbread and a kids drink, as well. There are fabulous side dishes like a variety of veggies, salad, sweet potato casserole and cranberry relish. All the fixin’s for a home cooked meal you don’t actually have to cook! For a limited time, you can use the code JUGGLING and get free delivery on your order. FREE delivery? I’m all over that! !